Warmup Plc has been awarded the Best Innovation title at the TTA Awards 2016 for their 4iE Smart WiFi Thermostat. With the MyHeating App and features like SmartGeo and EasySwitch, Warmup’s 4iE thermostat delivers effortless heating control providing the user with a truly automated experience while delivering substantial savings on energy bills. 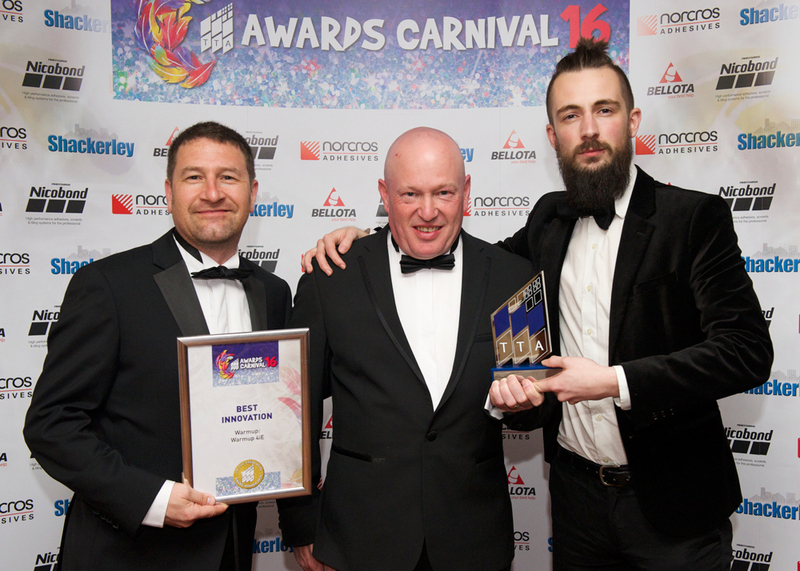 The prestigious TTA awards are now in their 16th year, and this year’s carnival themed event, held in Solihull, was attended by some 300 industry professionals. Michael Hollins and Jon Burke were present at the event and received the award on behalf of Warmup. To get more information about the 4iE and Warmup’s full range of heating solutions contact us here or phone 0345 345 2288.